I’m not gone, I promise. 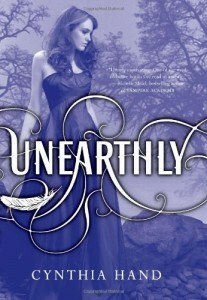 I’m feeling slightly up and down on Cynthia Hand’s Unearthly. On one hand, I definitely liked Clara – she has a lot of depth and it’s obvious Ms. Hand took the time to really flesh her out. On the other hand, I really feel the novel was plagued by a lot of filler and not a lot of actual substance. 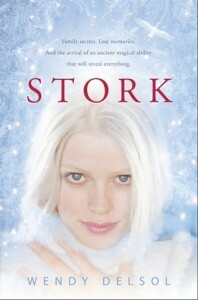 I discovered Stork while filling my Amazon cart with books I’d had on my wish list for a while. When this popped up on the recommended list, the word “Stork” automatically caught my attention – I was, after all, newly pregnant and quite fascinated with everything baby. The synopsis drew me further in and though when I purchased the book there were not a lot of reviews out yet, I decided to go with it anyway. I mean…storks…babies…debut novel…you can’t lose! Right? 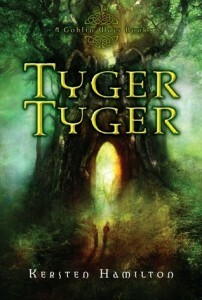 I want to begin by saying that Tyger Tyger is an interesting read. It’s not entirely cookie-cutter and I appreciate that aspect. 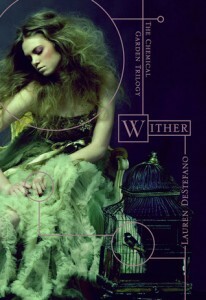 That said, though, I finished this book feeling absolutely unfulfilled. Lauren DeStefano may have just become one of my favorite authors. She introduces the reader to a horrifyingly dark, dismal, and BELIEVABLE world from page 1 and continues to deliver throughout the novel. Rhine, the female protagonist, is a brutally real, honest, and deep character who is likely to appeal to most readers – or at least readers who like a woman with a brain in her head.